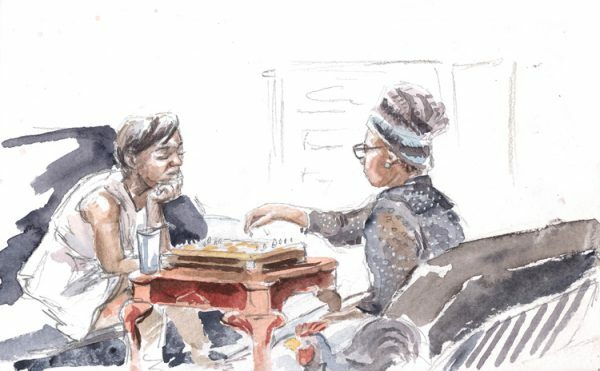 This fall, I quickly sketched a pair of friends playing chess. 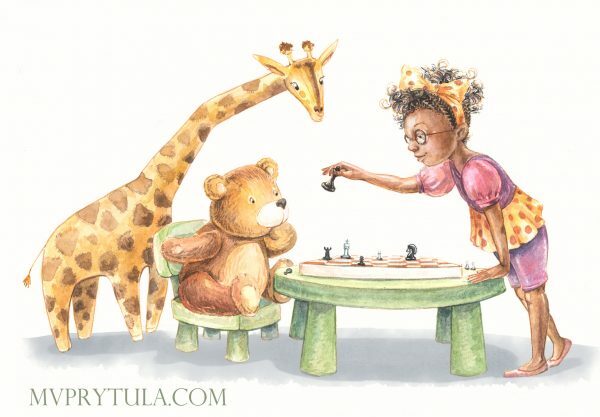 It kind of begged to be turned into a kid’s illustration because as much as I love tea and all sorts of cookies, I think we need a little update on a tea party. I remember how impressed I was with my friend who knew how to play, but it wasn’t until I saw this pair of girls play, that I decided it was time to learn myself. I need to learn to stop apologizing when I take down someone’s chess piece though.